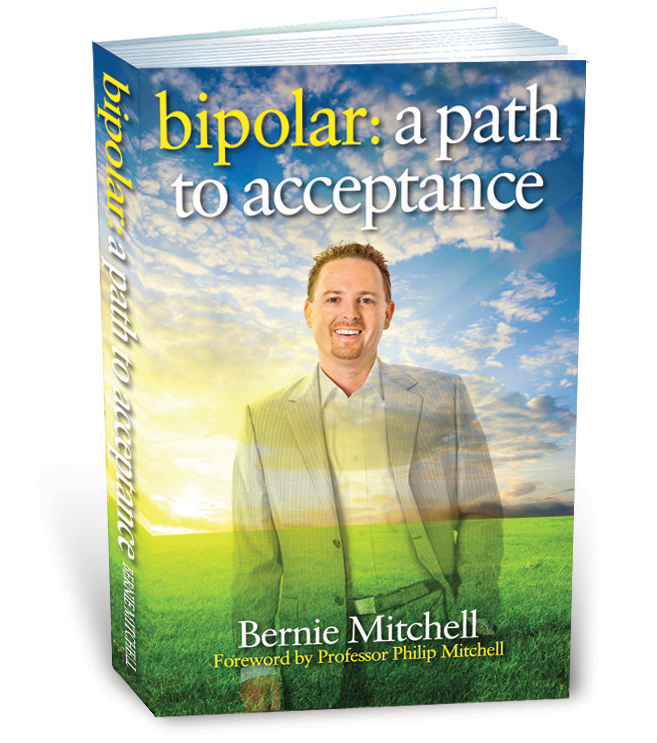 Sydney real estate property manager Bernie Mitchell was diagnosed as bipolar in 1998, but went on to set up a successful business. His mentor is his wife, Sam, and their story proves that business success thrives on love, trust and inspiration as much as facts and figures. My heart stopped when I met Sam at a party when I was 17. She’s my best friend. We’re always joking around and we roll with the punches. I was diagnosed with bipolar disorder in 1998. I’ve been able to function, but I’ve not always been able to see the future because of it. Sam’s always there to believe in me and I need that because I’ve been so ill. She holds our goals, reminds me of the things I want to achieve, and steers me there. There were times with the depression that things were so bad I couldn’t even work full-time. But Sam was there for me and we still pursued our dreams. We’ve been together almost 21 years now. Sam’s always looking out for my health, which is really important to help me manage my illness. If I’m pushing myself too hard, not getting enough exercise, or eating badly she’ll let me know. I love the chaos with four kids and I look forward to going home each night. I don’t have the luxury of working crazy hours because of my illness and Sam reminds me of that. I learned my life lessons young, including time management, leaving work at the office and prioritising my family. I love my work [managing rental properties] because it’s about people, trust and relationships. Sam’s a good judge of character so I go to her for second opinions on people, as I’m too trusting. There have been tough times with the business and at one point I was ready to quit. Sam was there to remind me why I wanted to build my business and to make me ask myself if I really wanted to walk away from it when we’d always known it was going to be a long-term venture. She’s not the gentle persuader – she’s my reality check. Bernie wasn’t ill with bipolar when we met. He’s always been determined to succeed, so I knew he’d get through it. It was my job to keep him on track. 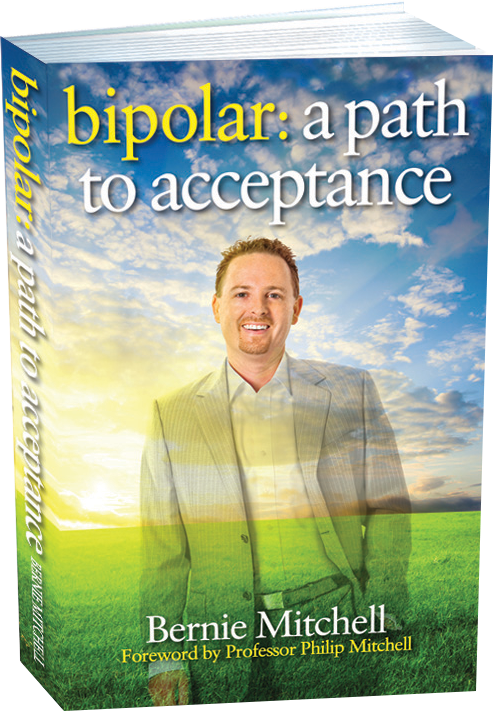 From day one with his bipolar, I said, “This is something you have to deal with. I’ll support you, but you have to take responsibility for it.” There’s been the odd occasion where I’ve had to put the brakes on him, but it’s important that he can look after himself. I’m a sounding board for Bernie, even if I say things he doesn’t want to hear. Focus Property Management is his dream job, but about three to four years ago he was in a down spiral and he wanted to sell the business. But the reason he set it up was that he’d have a workplace where he could have time off if he really needed it because of his illness. I helped him see that and made him change his mind. He’s now got his passion back. Bernie can be very trusting and I love that in him, but I can help him to look at things from a different perspective if necessary. There are so many promises made in business. If he trusts in something to happen and it doesn’t, that can affect his mood and his bipolar. I’ve developed a more positive outlook to life since I’ve been with Bernie. The bipolar has helped us turn a bad situation around. He constantly looks on the bright side and I admire that in him. He says he would hire someone with a mental illness “as long as it is managed responsibly”. Mitchell believes: “It’s important for everyone to know that you can get there in the end and triumph over your mental illness. “When he has previously hired someone with a mental illness, he was proactive in supporting them. “On becoming aware of their illness I mentored them so that they could empower themselves to take the necessary action and ownership of their recovery plan,” he says. “Given that I had suffered from mental illness, I supported them rather like a coach offering encouragement. We would meet up regularly to check in on progress and any issues that presented in the workplace. In one instance, the role was modified to accommodate the sufferer.”However, is this the responsibility of small business owners? Susan Bower, 41, owns Dressed for Success, a Brisbane-based property styling business. Like Mitchell, she would hire someone with a mental illness. “As a business owner that suffers from depression myself, I know that with treatment, people with mental illnesses can function just as well as anybody else. “Mental illness is now emerging as a more common illness, so the likelihood of employing someone with a mental illness is much higher whether they disclose it or not.”If you’re applying for a job, should you disclose that you have a mental illness? https://berniemitchell.com.au/wp-content/uploads/2017/12/2fa67f482133f1c934235b73c2a03954_L.jpg 147 600 osweb https://berniemitchell.com.au/wp-content/uploads/2018/06/bernie-mitchell-logo-img-new.png osweb2013-06-19 11:10:492017-12-21 05:17:07Would you hire someone with a mental illness? https://berniemitchell.com.au/wp-content/uploads/2017/12/ada9a09acea936d776a6f55c82778c43_L.jpg 131 600 osweb https://berniemitchell.com.au/wp-content/uploads/2018/06/bernie-mitchell-logo-img-new.png osweb2013-06-14 13:24:332017-12-21 05:19:27Would you hire someone with a mental illness? https://berniemitchell.com.au/wp-content/uploads/2017/12/ffee2447b152494b43d9816faaea83c8_L.jpg 128 600 osweb https://berniemitchell.com.au/wp-content/uploads/2018/06/bernie-mitchell-logo-img-new.png osweb2013-06-14 13:20:182017-12-21 05:20:34Would you hire someone with a mental illness? https://berniemitchell.com.au/wp-content/uploads/2017/12/2ff2ba0051687eef5ca0459cf942940c_L.jpg 137 600 osweb https://berniemitchell.com.au/wp-content/uploads/2018/06/bernie-mitchell-logo-img-new.png osweb2013-06-14 13:13:552017-12-21 05:21:33Would you hire someone with a mental illness? https://berniemitchell.com.au/wp-content/uploads/2017/12/94d43e327d9303539cb1e2aac7032668_L.jpg 141 600 osweb https://berniemitchell.com.au/wp-content/uploads/2018/06/bernie-mitchell-logo-img-new.png osweb2013-06-14 13:08:542017-12-21 05:22:36Would you hire someone with a mental illness? https://berniemitchell.com.au/wp-content/uploads/2017/12/e0a70f72bdae9885bfc32d7cd19a26a1_L.jpg 148 600 osweb https://berniemitchell.com.au/wp-content/uploads/2018/06/bernie-mitchell-logo-img-new.png osweb2013-06-14 12:36:072017-12-21 05:23:27Would you hire someone with a mental illness? Property management specialist offices retain landlords much more effectively than the ‘traditional’ real estate agency, said one leading independent principal. According to Bernie Mitchell, owner of Focus Property Management, a majority of his clients are leaving traditional offices. “A lot of my clients, upwards of 80 per cent, come to me to manage their property from another agency, and I would have to say pretty much all of them would be coming from a standard agency,” he said. Mr Mitchell also spoke at the Leading Property Managers of Australia (LPMA) event on the Gold Coast earlier this month, and is a published author. “People have generally been dissatisfied with the service they receive at a traditional real estate office,” he told Residential Property Manager. THREE PAGES have made all the difference to Elders Real Estate Darwin. It was their three-page business plan that saw the company’s revenue increase by 22 per cent in just 12 months. Those three pages helped shape their market share to what it is today – 14.23 per cent – and set the office on its way to growth that was unimaginable just two years ago. “Our secret definitely comes down to our business plan,” Chris Deutrom, principal at Elders Real Estate Darwin, says. When Mr Deutrom took over the office 18 months ago there was no business plan, not in a written form anyway. The office was number four in the ultra-competitive region. While they were winning business and sealing listings, Mr Deutrom knew there was further growth needed. “We sat down as a team and formulated a business plan that was, and is, very ambitious,” he explains. “If you had asked me five years ago about business plans, I couldn’t have told you much,” he admits. Our research shows Mr Deutrom may be right. According to a straw poll conducted by Real Estate Business just over a year ago, a majority of principals did not have a business plan. More than 52 per cent of respondents to the straw poll claimed they had no business plan in place for 2012, with 23.1 per cent stating they were yet to consider preparing one. Matt Angilley, principal of online agency Real Estate Partners and winner of the 2010 and 2011 Real Estate Institute of NSW (REINSW) innovation award, says agencies that don’t have a clearly defined business plan in place are likely to have little idea of where their business is headed. “The danger of not having a business plan is you don’t know where you are,” Mr Angilley says. When creating a business plan, Mr Angilley says it is important to record key goals and objectives, which include future staff levels, turnover projections, cost and profit ratios and training. 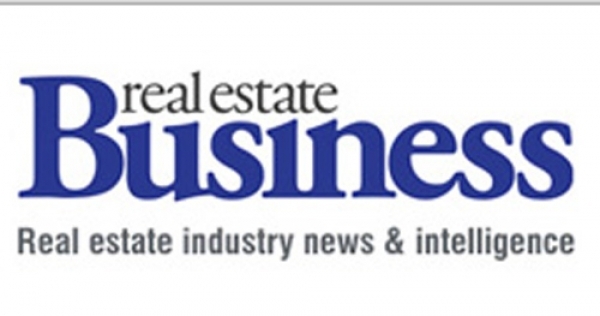 Speaking to Real Estate Business, PRDnationwide regional manager and business consultant for Queensland, Greg Braithwaite, says he hoped all principals use business plans. “The main components of all business plans are yearly KPIs and the agency’s financial plan,” he says. There may be industry debate about what should go into a business plan, but the one thing that everyone agrees on is that every real estate office needs one. The cliché, ‘if you fail to plan then you plan to fail’, couldn’t be more true in this situation, according to Leanne Pilkington, general manager at Laing+Simmons. “A business plan gives a principal a stream of focus,” she says. Mr Deutrom would go as far as to say every person should have a business plan for their work life and home life, as it gives a much needed sense of direction. “Having goals to attain in your personal and work life is imperative to success,” he says. Bernie Mitchell, managing director at Focus Property Management, believes a business plan is paramount to a successful business but cautions real estate practitioners against getting caught up in setting unrealistic goals. Business plans, depending on what they are trying to achieve, can come in very different sizes; some people opt for just a few pages outlining their essential business goals, while others want an in-depth report. Despite the length of the report, the key details should fit on one page, according to Peter Thomas, CEO at Stockdale&Leggo. “I like short, sharp, to the point business plans – I don’t like to get clogged up with too many details,” he says. Tony Braiser, managing director of PRDnationwide, believes around the five-page mark is a perfect length. “A business plan doesn’t have to be a large document, as long as it is succinct and covers the key ingredients and has measurable outcomes,” he says. Ms Pilkington agrees a business plan should not be endless but succinct and to the point. “One or two pages is generally enough – you don’t need reams of info that sits in the bottom draw, never receiving any action,” she says. However, Phillip Starr, principal at Starr Partners Merrylands, who started his own formal business plan in 2008 and has since increased his sales “markedly”, believes a longer plan is necessary. “The initial plan should be an all-encompassing document, especially if you are presenting it to your bank or potential shareholder,” he says. Mr Deutrom says his current business plan is 22 pages long with a three-page executive summary that he keeps on his desk and refers to almost daily. “The executive summary is the overview document, which you need to have with you to prompt you to act on the goals set out,” he says. GOALS AND PASSIONS – WHAT ACTUALLY DRIVES US? We always start with the end in mind. Possible bullets in this section include gross revenue for the year, holiday and family time, new car, ranking in my franchise group, company awards. STRATEGIES – HOW ARE YOU GOING TO DO IT? Break up the number of calls you need to make with marketing material in order to achieve the number of market opinions you need. The most effective productivity plans span no more than 90 days and are measured monthly. In this section I want to hear about activity and metrics. What’s the maths? How many calls or initial face-to-face meetings? How much commitment to time blocking to make prospecting calls? How will you be held accountable? OBSTACLES – WHAT’S IN THE WAY? I don’t believe in excuses, but I do believe that almost every salesperson could tell you on day one what is likely to get in the way of achieving their objectives. So I like to ask for a list of known obstacles upfront, so we can address and help remove them. Obstacles take many forms: personal health, distractions, lack of training or knowledge, family issues, travel budgets, old technology, the anti-sales department. Personal development, growth and motivation – How do you want to grow this year? If we are not growing then we are dying. Salespeople need to invest in themselves. Ask how they will do that – courses, training, peer-mentoring, outside coaching, sales books, blogs. Are there certain areas where they need to develop professionally in order to get to the next level? I also like to ask the salesperson to share some of their personal philosophies about sales and what they do to keep themselves motivated throughout the year. You get some really fun answers and can learn a lot about what drives people. Business planning is one of the most important steps to building a successful real estate office. But who should be involved in the decision making and goal setting? According to Paul Curtain, managing director at Place Estate Agents in Queensland, smaller networks need to gather in a ‘high quality’ capacity at least twice a year to maintain growth and track their business plan. “[As a network] we get together three times a year with our business leaders, who are the principals and directors of our offices. We also include senior management staff, head of property management, HR, marketing and finance – all the decision makers,” he tells Real Estate Business. From a head office perspective, Mr Curtain says it is vital that growing franchise networks meet in an external environment to steer the company towards healthy growth. “From the point of view of the directors and partners, we’ve got a vision on where we want the business to go,” he says. “So we set our strategic vision in place for the next 12 months and beyond, but we’re there on the ground daily, experiencing wins and losses in our own business. “If we look at ourselves in 2013 and say, ‘This is how we want our business to look in 2018’, it’s absolutely vital that we check and maintain that we’re on the right track at least two or three times a year in a really high quality capacity. However, Mr Thomas believes it should be a team effort. “It is a team effort but must be controlled by the director in all areas,” he says. Mr Deutrom agrees: “I interview all my staff every year to determine what their goals are and how that fits in with my greater business plan,” he explains. “You need to speak to them about their professional development goals. There is no use making Jenny a fully qualified property manager with 400 properties when that is the last thing she wants. Ms Pilkington says involving the entire team in the business plan can be a positive exercise for everyone. PRDnationwide’s managing director, Tony Brasier, also says it is essential that a good plan achieves ‘buy in’ from everyone engaged in the business. “The best way to achieve this is by the principal or shareholders preparing a draft plan and then obtaining input from people within the business,” he says. “Once it has been finalised it is important to communicate the essential objectives with the people, with clear milestones so that it can be monitored at regular intervals – either quarterly or six-monthly. “This way everyone feels a part of the plan and can share in the satisfaction of achieving the objectives and reaping the rewards of growth. According to Mr Brasier, an effective way of ensuring success is to align each person’s annual KPIs to the business plan, so that the sum of everyone achieving their annual goals goes a long way to achieving the overall plan each year. DONE AND DUSTED – BUT NOW WHAT? Once the business plan is produced, how can a principal ensure the office follows through. According to Mr Brasier, team rewards are a great way to ensure your business plan doesn’t just turn into a scrap bit of paper on your desk. Mr Thomas warns agents not to fall back into bad habits: “You really should be reviewing your plan on a regular basis, even monthly – it is too easy to develop and fall back into bad habits,” he says. Keeping on top of a business plan requires three steps, according to Mr Deutrom. “Firstly, everything in the plan needs to be achievable. It isn’t a wish list,” he says. “Secondly, make the leadership team accountable for what is in the plan and encourage them to drive their teams with their goals. Another great tip from Ms Pilkington is to include your business plan in monthly or quarterly meetings. TOUGH BUT realistic deadlines are the key to keeping to an effective business plan, an award-winning property manager had said. Bernie Mitchell, managing director at Focus Property Management, is on track with his company’s plan. Mr Mitchell’s plan this year focuses on growing his company’s website – a job that entails changing deadlines and a team of outsourced workers. “I always set very tough deadlines for myself, but I have learnt to be realistic over the years, especially when it comes to the website,” he tells Real Estate Business. “Writing a business plan is like a basic road map. The actual journey might not always be as straightforward in reality. This practicality is also important when writing up the business plan, Mr Mitchell says. “When I first began writing a business plan it use to be this big comprehensive document, but over the years it has changed,” he explains. The reality is that if it doesn’t fit on one page, you won’t action your goals, he says. “You can’t achieve everything you want in business in a short space of time. HAVING A business plan can be vital to establishing an effective relationship with a financial institution, and the absence of a plan could be detrimental to that process. The business plan can give focus and direction, and provide a foundation from which decisions can be made and actions taken. It crystallises what otherwise might be vague ideas, and helps the business owner articulate objectives and direction to its staff, stakeholders and clients. Business plans come in a variety of forms, with the elements of an effective plan including how the business will generate revenue and resource itself, and off what cost base. Importantly, it will incorporate an understanding of the assumptions underlying the revenue and cost bases. From a bank’s perspective, it is looking for a level of comfort in investing in your business. A well thought out business plan shows a level of consideration, as well as a willingness to spend time and effort on something that is a significant undertaking and commitment of resources. If you don’t put in that effort, it is difficult to expect a bank to consider funding. Without a business plan, a bank can find it hard to assess how a business will make money and repay debt. Part of the lending process will involve the banker considering questions such as, How comfortable would I be lending my own money to this individual? and How confident am I about getting it back? The level of risk associated with lending money is central to the decision on whether to do so. A financial institution’s need to be provided with a plan will vary depending on the maturity of a business and the tenure of the owner. For example, an established business with experienced operators is less likely to be asked for a business plan than a start-up business or an established company with new, but inexperienced owners. Historical data and demonstrated success will contribute to the assessment by a bank, so owners of younger businesses are advised to have a business plan in place. Just as important as getting a financial institution to feel comfortable is finding a good match in a banking partner that understands the real estate industry, and your business specifically. Detailing your plans and aspirations from the outset and gaining their buy-in to your ‘bigger picture’ can reduce the chance of surprises in the future – when you are looking to acquire a rent roll or purchase some commercial space. A business plan can assist you and your bank to get on the same page, and help your bank understand and support your business’ future growth. PRINCIPAL PHILLIP STARR is focusing on technology investment in 2013, especially making communication with team and customers as professional and up to date as possible. “For example, we want to make sure our property management staff have the latest software,” he says. “We will also work to project a professional experience for new tenants and feedback to owners until property is re-let. AN INVESTMENT in people will be at the top of the pile for Laing+Simmons. “Every office will have their own focus, but as a group we are certainly looking into ways to better manage a team and hire the right staff,” Leanne Pilkington says. According to Ms Pilkington, Laing+Simmons encourages offices to work to annual business plans. “We supply an online template for a business plan, but we prefer to work individually with the offices,” she says. “We tend to do annual business plans, and you need to review them, not just put them in the bottom draw.